Redefine Your Beliefs To Better Serve You! Use the information on this inspired self help free shortcuts page to help you to completely eradicate your lack of financial abundance. Learn to relax and enjoy your life while sitting back and allowing the money that you definitely deserve to effortlessly and continuously flow to you. This is LOA (1) of the Law of Attraction program. I’ll go through a few examples of how and why we’ve been approaching the subjects of money and abundance from the wrong angle. Then I’ll reveal ways in which you can change your disappointing outcomes into those you prefer, by redefining and changing your beliefs. Perhaps you’ve spent years trying to improve your financial circumstances but have been disappointed with the results so far. By following the recommendations of these inspired self help free shortcuts you’ll be fully self-empowered to begin changing the financial direction of your life. Like everything else money and abundance are vibrations. That being true, we know that we have to adjust our state of being to tune into the vibration of money before we can experience it flowing abundantly to us. We adjust our vibrational frequency and thereby tune into the vibration of money and abundance by changing our beliefs about them. Although vibration is the underlying language of the Universe, as an end user and a thinking entity we control and change our vibrational frequency through our beliefs. The Universe is impersonal and so it always reflects a perfect match of the vibration of our being, our state of being, back to us consistently and flawlessly. Everyone knows what money is but how do you view abundance? Abundance is not necessarily tied to money. Get into the habit of recognizing and appreciating how the Universe always provides for your every need without any effort from you, it always has and it always will if you allow it to do so. You're always fully abundant, be it in wealth or in lack! If you’re hungry, but you have no money on hand and then a friend or family member unexpectedly invites you to dinner at their house, your hunger is satisfied without you needing any money. That is to say, your need of eating to satisfy your hunger was fulfilled by the Universe, that’s abundance! Identifying the typically negative self-limiting beliefs we hold is very helpful for attracting money and abundance, because if we hold self-limiting beliefs then money and abundance will indeed be hard to come by! Remember that the world we live in, our current reality, is determined by our beliefs. Thus, in order for you to attract the money and abundance that you say you currently lack, it's helpful to identify which beliefs are keeping those things from flowing to you. Then you can re-program your mind to believe something that serves you better. These inspired self help free shortcuts advise you to remember that the work we’re doing here isn't hard, unless you believe it is and you say it is. It’s really just a matter of becoming consciously aware of which negative self-limiting beliefs (psychological blockages) are keeping money and abundance from you and then redefining those beliefs to better serve you. Ideas and beliefs are given to us without first being confirmed as helpful by those doing the giving! Then they’re accepted by us as true, even though most of those ideas are neither helpful nor true. Think about your attitude towards money. Do you regularly repeat the above statements, or something similar, to yourself and to the people around you? By identifying what you think and say about money you can begin to uncover the underlying core beliefs that you hold towards it. Consider the analogy of an onion. 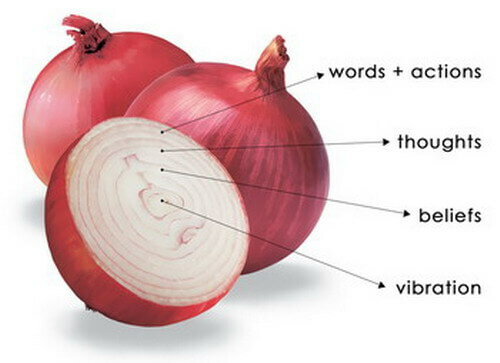 An onion has many layers which can be peeled off to reveal more and more layers. In the same way, when you examine your words and actions your thoughts are revealed. When you examine your thoughts your beliefs are revealed. Exposing a belief provides an opportunity to change it! For instance, let’s say that you found this page by typing self help free into your web browser. That may mean you believe that reading about and studying self help subjects can help you, while at the same time you might also believe that the help given should be given freely. Typing self help free could also mean that, at some level, you believe that you can’t afford to pay for any self help products or pay to support the producer’s time and effort, due to your belief in (and experience of) the lack of money needed for those things. Think about what’s being said and understand that a belief is simply a thought that you repeat to yourself often and eventually convince yourself of its truth, even when it’s not true and doesn’t serve you! Watch your own mind throughout your day and just observe the things you do, say, think and believe. Once you‘re aware of some of your self-limiting beliefs, you’ll be able to redefine them and make the changes necessary in order to re-program your mind. Changing your definitional beliefs changes your experience of reality! Use the examples offered by these self help free shortcuts and begin to change the way you think, talk and act. Your work now is to change your lifelong beliefs concerning money and abundance. No one else can do this work for you! On a physical level, changing your psychological beliefs results in the neurological pathways in your brain being reprogrammed and this in turn changes your vibration. The reason this is important is because when you step up like that you’re saying to yourself and to the Universe: I have faith and trust that the Universe will take care of all of my financial needs, and I trust that my new belief in financial abundance is true and that I'll be supported by the Universe. The inner controls the outer. So stepping up just a little bit in your mind must cause change in external circumstances! The same is true when you decide not to step up and spend those extra few dollars. You’re saying to yourself and the Universe: no, I can’t afford to do this; I’ll go for the cheaper option because I don’t really believe in financial abundance. Until you do start believing in the abundance of money nothing can change for you. Through these self help free shortcuts I suggest that you look at it this way: our experience of the world we live in is determined by our beliefs. Therefore, in order to change the external world that’s reflected back to us we must change our internal beliefs. Once you truly understand that your beliefs are a primary factor in making positive changes to your life you'll be more successful. This LOA (3) free self help article of the law of attraction program goes into money and manifesting tools. 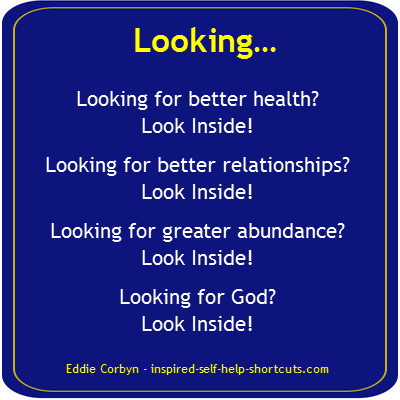 Click this image to get a FREE PDF document containing a very powerful list of Inspired Self Help Free Awareness Keys. Once the new window has opened up, you can read the document or save the file to your computer. Enjoy. Perhaps you’ve been working on identifying and changing your self-limiting and/or negative beliefs into beliefs that serve you better for some time now. However, up to this point, even after you've made some progress you haven’t seen much actual change in your financial circumstances. A big part of the information in these inspired self help free shortcuts is to remind you that it’s important to stay the course, without becoming doubtful or frustrated. Remember that this work is not about blaming or getting angry with yourself and it’s not a race! The change in your vibration and hence, your ability to attract money and abundance will depend upon how negatively conditioned you are and how long you’ve been that way. Consider the analogy of a huge ocean liner. The ship is heading in a southerly direction and it has a certain momentum of its own. To change the direction of the ship so that it now heads in a northerly direction takes time. A change in direction can’t happen in an instant, but once the correct coordinates have been entered it must and so will happen, we just have to be patient and enjoy the ride in the meantime. Do your best to be aware of your thoughts, beliefs, words and actions while relaxing and enjoying your life. Through these self help free shortcuts I could advise you that turning your ship around is easy or hard, but the truth is it just is as it is. And in order to see the results you desire you have to convince yourself and change your beliefs concerning money and abundance, and how you want your Now reality to be for you. If you understand what's being said on this self help free shortcuts page and you’re looking for advanced understanding concerning belief and financial abundance, I recommend checking out "The Awakening Course," by Joe Vitale, it’ll definitely help to accelerate the flow of money and abundance into your life.